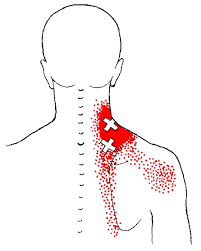 Myofascial trigger points, which are hyper irritable taught bands of contracted muscles are commonly associated with chronic neck pain & headaches when looking at the pain producing structures in the neck, shoulder & head. 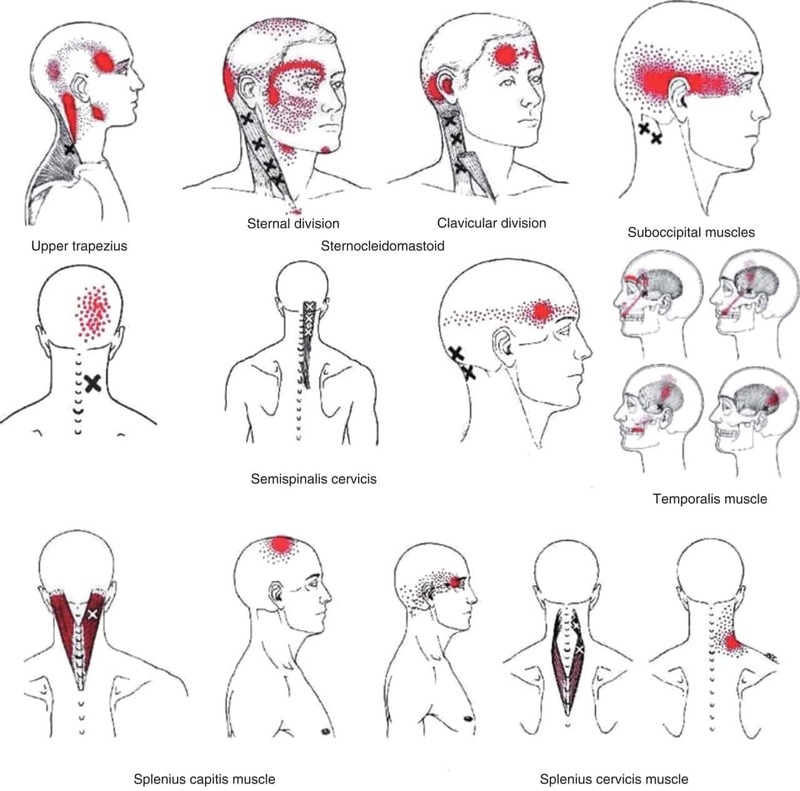 In this article I will go through some self help techniques to help prevent the formation/re-occurrence of trigger points that I often recommend to my patients with neck pain & headaches. Lay on a heat pack for 10-15 minutes with a rolled up towel under your neck, this offers neck support to help the muscles relax and pushes heat directly to the area. I usually recommend this heat pack (www.wheatbags.com.au) as it covers the neck and the full column of muscles (erector spinae). Note how the the erector spinae gropup of muscles run the full length of the spine from the pelvis all the way up to the base of the shull, in my experience releasing these groups of muscles so the there supple & balanced have the greatest impact in improving back & neck pain. 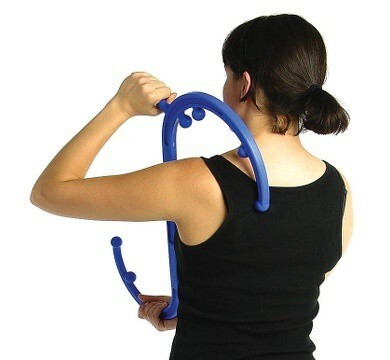 The best way to do this is by using a set of back balls (www.bakballs.com) or make them yourself & doing this simple technique (www.youtube.com/spine-release). To get the full benefits of this technique it is vital you take your time with it and wait & hold at each segment for roughly 30 seconds. 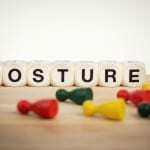 If you would like more information contact your Sydney CBD & Waterloo chiropractor. 1.) Cohen SP. Epidemiology, diagnosis, and treatment of neck pain. Mayo Clin Proc. 2015 Feb;90(2):284-99. doi: 10.1016/j.mayocp.2014.09.008. 2.) Fernández-de-Las-Peñas C1, Alonso-Blanco C, Cuadrado ML, Gerwin RD, Pareja JA. 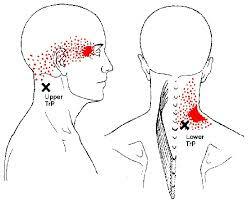 Myofascial trigger points and their relationship to headache clinical parameters in chronic tension-type headache. Headache. 2006 Sep;46(8):1264-72. 3.) Fernández-de-Las-Peñas C1, Cuadrado ML, Pareja JA. 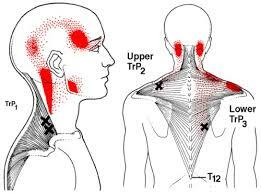 Myofascial trigger points, neck mobility, and forward head posture in episodic tension-type headache. Headache. 2007 May;47(5):662-7. 4.) Fernández-de-Las-Peñas C, Simons D, Cuadrado ML, Pareja J. 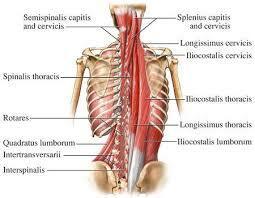 The role of myofascial trigger points in musculoskeletal pain syndromes of the head and neck. Curr Pain Headache Rep. 2007 Oct;11(5):365-72. 5.) Rudy IS, Poulos A, Owen L, Batters A, Kieliszek K, Willox J, Jenkins H. The correlation of radiographic findings and patient symptomatology in cervical degenerative joint disease: a cross-sectional study.. Chiropr Man Therap. 2015 Feb 9;23:9. doi: 10.1186/s12998-015-0052-0. eCollection 2015.